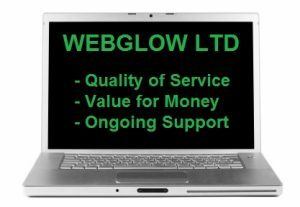 Webglow provide Website Management in London, Kent, Essex and beyond. Changes to existing pages – additions/changes to text and images. Search Engine Optimisation – regular checks. Automatic renewal of your website Domain Name (annually). Visitor statistics report includes hits and visitors. Software updates – includes website software and plug-ins. Reactions to cyber threats (using anti-malware + anti-virus software). Regular checks and blocking of recognised spam external IP addresses. Hacking – recovery of website whenever hacking is detected. Webglow provide a Website Management Service that covers all the website support you will need. We can provide a website design service in local areas. We can arrange a consultation at my address on request. Payment is by annual fee or other agreed terms to suit budget. Albany Park, Barnehurst, Belvedere, Bexley, Bexleyheath, Blackfen, Blackheath, Bromley, Charlton, Chislehurst, Crayford, Dartford, Eltham, Erith, Falconwood, Kidbrooke, Lee Green, New Eltham, Orpington, Sidcup, South Darenth, Welling etc. Webglow also undertake website management (web design and support) throughout the rest of the country. However, all communication may take place via email and telephone. You will still receive a first class service!